If you can’t also wait to step away from all the school work and pack for a mini vacation or adventure this end of October. 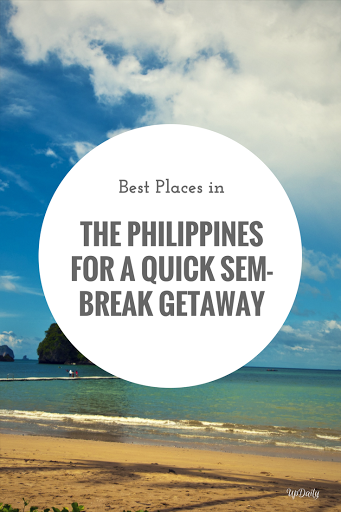 Here are the best destinations in the Philippines you can go to for your quick getaway. Tagaytay is one of the best places to go if you want to breathe fresh air and enjoy a cool weather. You might have been here a couple of times but who says you can’t go back, right? The best thing about it is that you can have a mini road trip because it is never too far away from the metro. Also, there are many good food spots here that you should not miss as well as breathtaking sights such as the Taal Volcano. If you are into the beaches, then you can head on to Batangas. There are so many beaches there you can enjoy and the ones you can find in Anilao even allows you to do some extreme activities like scuba diving; well, if you are the adventurous type of person, that is. There’s also rich marine life in Batangas and you can even see sea dolphins, sea turtles and whale sharks if you are lucky. If you have a few days to spare for your vacation, then you can visit Camiguin. Camiguin is an excellent place to de-stress because everything you could ask for can be found here including white sand beaches, waterfalls, hot springs and a lot more. 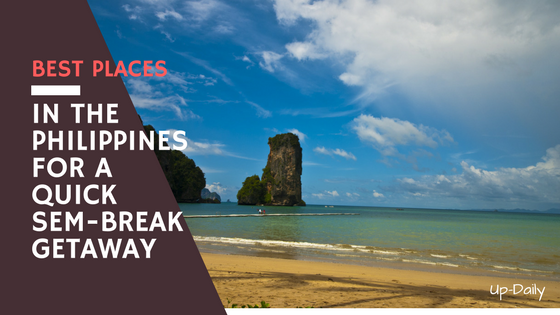 Quezon is another place that offers a variety of wonderful locations perfect for vacation. They have amazing beaches and they have the Quezon National Park which you can enjoy best when you travel with your best buddies.